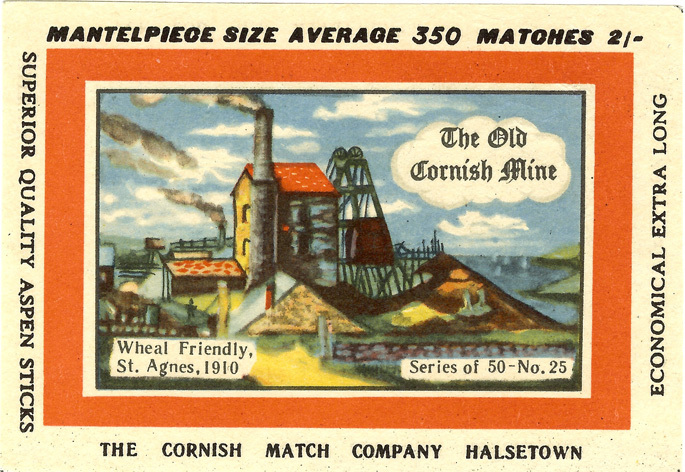 A small tin mine at St Agnes which formed part of the more famous and rich Wheal Kitty tin mine. 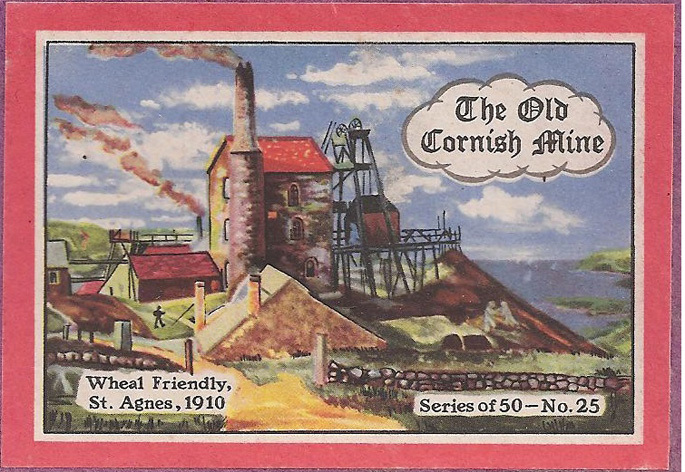 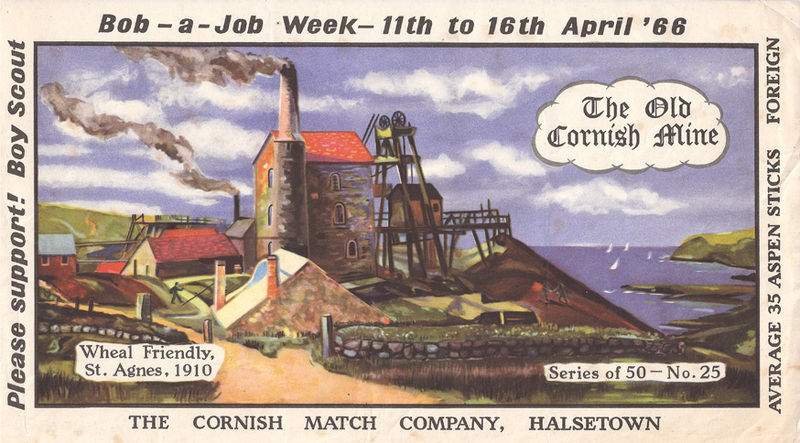 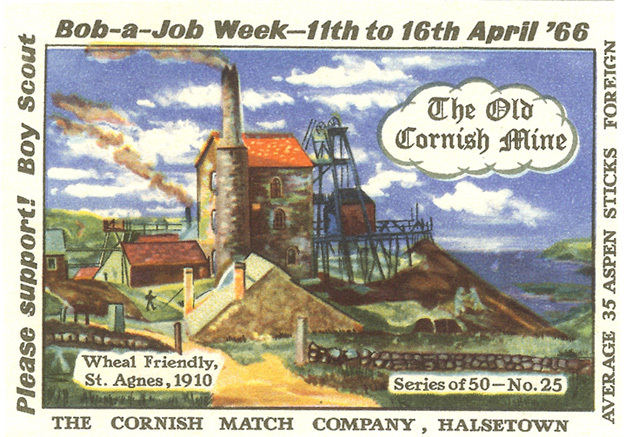 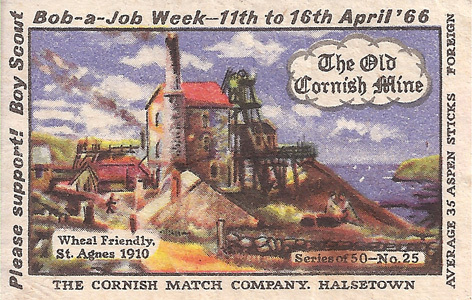 The mine was operating prior to 1863, was abandoned in 1896, the lease was taken up by Wheal Kitty in 1900. 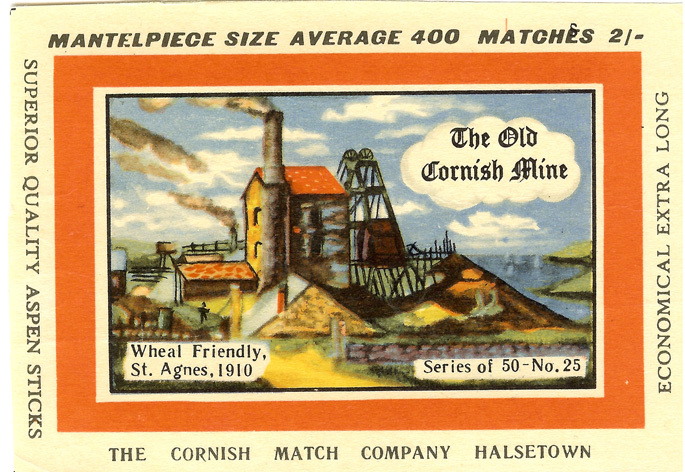 By 1927 it was working with and connected to Wheal Kitty, but both were abandoned in 1930. 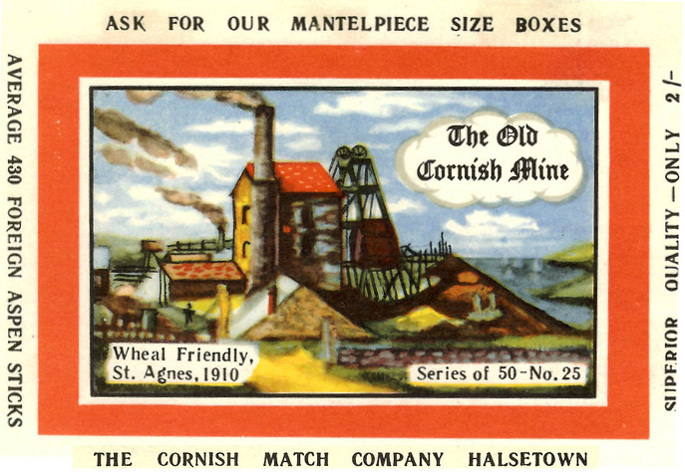 The illustration appeared on 7 known labels and was first issued between February 1965 and October 1966.